Click here to visit The Anaheim Business List! Using Windows at home? Visit our support website www.StdInstall.Com . Click here to see the detail page explaining our Net Satisfaction of 195 out of 200 and other results. At the Ten22 restaurant in Old Sacramento, however, Obama's proclamations on reviving the economy were empty platitudes to Ron Ellis, an Internet technology consultant from Fair Oaks. 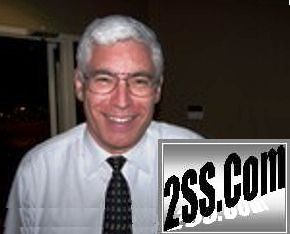 Ellis' firm, 2SS.com, has mostly weathered the downturn, serving clients with computer network challenges. Now, he fears Obama will get in the way of the recovery by over-regulating business. When the president vowed to bring "the next generation of high-speed wireless coverage to 98 percent of Americans," Ellis was nonplused. "I was looking for a mantra of 'Government, get out of the way,' " he said, "and I didn't see that." With a new Federal Reserve chair cast from Greenspan's die, and California consumers continuing to show confidence through their spending, a positive outlook for our region is limited only by housing costs that can keep encouraging "escapes" from elsewhere in the state. Sacramento Business Journal - OPINION - What do you think? For our specialties, high-tech and small business, it's never looked better. We have a renewed president, a strong economy, and both distance and progress from 9/11. We just hope the Governator's plans for reinventing state government are not too painful for the Sacramento region. Sacramento Business Journal - In-Depth Corporate Philanthropy - What do you think? The Salvation Army Adult Rehabilitation Center in Sacramento is a 9-month residential program for men recovering from addiction that is financed by donations of various items which are recycled and sold in its thrift stores throughout the Sacramento region. Some of what's donated and sold includes computers and related items. It's been a privilege for 2SS.Com to be involved in helping to set up a technology testing lab to handle and prepare the computer-related donations, to see these items distributed to stores including the "Technology Store" within the Carmichael Thrift Store, and to help use repaired and refurbished donations to upgrade computers in both the ARC administrative offices and in setting up a training center and computer workroom at the ARC residence. I'm optimistic and there's no good reason not to be! The business climate continues to improve with great underlying strength, the war on terrorism is going well, and it's the start of a new year. If consumers can add it up and believe they're safe, there's nothing to hold us back! Sacramento Business Journal - IN DEPTH: STARTUPS - What do you recall? We're in the midst of a startup since last November and the amazing thing is how much work it is to get to the launch point. We're still trying to get there as I write. The problem isn't vision or money or anything big! It's the basics: coordinating the players, getting the business model right and ensuring we know how to be profitable. The business fills a new niche and involves Internet-based ordering of a corresponding products/service bundle! Sacramento Business Journal - EXCLUSIVE REPORTS - What do you think? There is an inevitability to Sacramento's making it big. The question is, where on the spectrum will we be when we get there? Big and quality-of-life capital, or big and NorCal LA? QUESTION: I'm compiling my marketing budget for next year and I'm interested in advertising on the Internet. How can I find statistics, demographics, etc. on the Internet' effectiveness as opposed to the Yellow Pages, newspapers and other traditional sources? ANSWER: You can't. Because Internet advertising is so new, there is no reliable tracking system in place ---yet. Progress toward an industry standard is being made, but slowly. Advertising Age cites lack of consensus on exactly what markets want to track -- total expenses, information requests or Web site visitors' habits - as one problem. Another hindrance to accurate measurement is that on-line services that store popular World Wide Web pages sometimes don't accurately report traffic to eh actual Web site owner. However, this needn't deter you. There are some definite advantages to Internet advertising, including audience reach and low cost. The number of Internet subscribers (estimated at 30 million world-wide) is growing by thousands daily -- how many newspapers of yellow pages can claim that? Waiting for statistics could mean sacrificing near-term customers. QUESTION: Our business has all the latest software programs, but I'm not sure how much they're really being used. We're so busy we have no time to train people -- it's learn-as-you-go. What is the best way to get the most from our software investment? Staff member skills can be built quickly by enrolling in quality off-site one-day training classes. An added bonus i learning away from your "so busy we have no time" environment. An experienced trainer/consultant might be able to com in and adapt training to your environment. You get a custom approach with the risk of distractions and less comprehensive coverage of your software. Make 'learn-as-you-go' easier and more fun. Offer staff members a great deal that helps them get PCs at home and reward those who take the time to help others or get training on their own time. Finally keep your expectations high! The latest software has rich functionality and it's increasingly easy to use.